Cutting-Edge Performance at Home & at Work. Get professional-grade results in your own backyard and on the job. Whether you're looking for a powerful machine to help you manage golf courses or a nimble model for use at home, Toro has you covered. Up North Power & Sports is here to pair you with the right residential or commercial Toro mower for your property. Browse our entire lineup online and stop in to discover the right model today! We're also your trusted Toro repair center, located in Park Rapids, MN just outside Fargo and Bemidji. 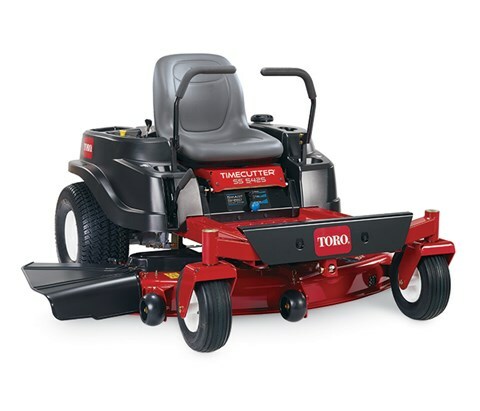 Be sure to check out all of our Toro Power Equipment and ECHO Power Equipment too! Choose a zero-turn for a mower tailored to you and your outdoors. MyRIDE™ Suspension provides a fully suspended operator platform and adjustable rear shocks for a superior ride. With heat-treated steel blades and a patented adjustable discharge chute, nothing cuts quicker or better. A few riding models we carry include the Titan and Timecutter, featuring blade lengths between 32" to 60". Looking for an easy-to-store, smart mower? Choose a walk-behind/push model! Go your own speed with automatic adjust self-propulsion, enjoy its quiet, easy-to-start engine, and store your mower in the tightest spaces with its Quick Stow Storage Handle. Some of our walk-behind models include the Personal Pace and TimeMaster. Toro walk-behind mowers offer a number of innovative features that will improve your overall mowing experience for years to come. You'll enjoy an unsurpassed level of power, productivity, and dependability when you invest in a Toro walk-behind mower. Spend less time mowing your lawn and more time admiring it! One highly desirable feature found in select models is the Personal Pace self-propel system, which is a handle that responsively provides power to the rear wheels so users can mow at their preferred walking speed. Let's not forget about the Quick Stow Storage Handle that allows users to simply flip the blue levers so they can conveniently store their mower in a tight space. 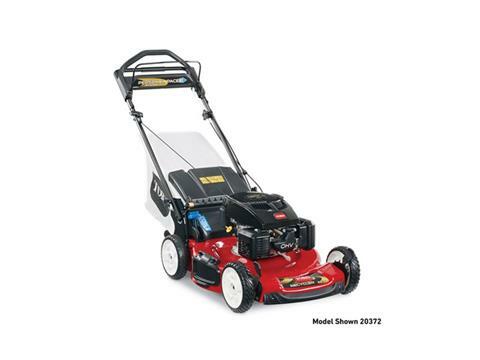 The perfect Toro walk-behind mower is waiting for you at Up North Power & Sports so stop by today! We're located in Park Rapids, MN near Fargo and Bemidji. Before you buy your Toro lawn mower, be sure to consider your personal mowing needs so you can choose the right model. Walk behind or push mowers are a popular choice because they offer a generous cutting width along with the ability to cut through thick, long grass, and they can often turn clippings into mulch. If you have a fairly small yard under half an acre in size, a Toro walk behind or push mower is an effective option. Self-propelled mowers are similar to the push design but in this case, the engine also powers the wheels. Many people enjoy this feature because it means you don’t have to physically push your mower. Instead, enjoy a leisurely mowing experience as you simply guide your machine over the lawn. Self-propelled mowers tend to have a wide cutting swatch, can handle long, thick grass, and they can also mulch clippings. When your lawn is more in the medium-size range at about half an acre to an acre, then you’re probably best suited for a Toro self-propelled mower. Another important factor to consider is whether you should choose a gas or electric mower. These two mower types have their share of pros and cons. 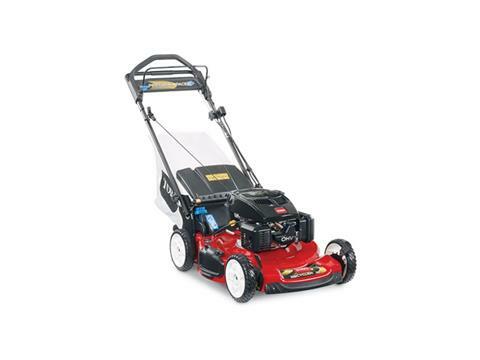 For starters, gas mowers tend to be the most common but they do require more maintenance than electric mowers. 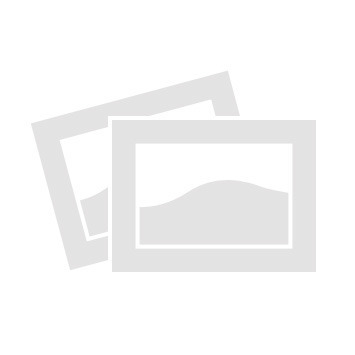 Gas mowers have a more powerful motor that is operated with a pull or electric starter. It’s also crucial to use the right type of fuel in a gas mower. A single tank usually powers through an entire mowing job. 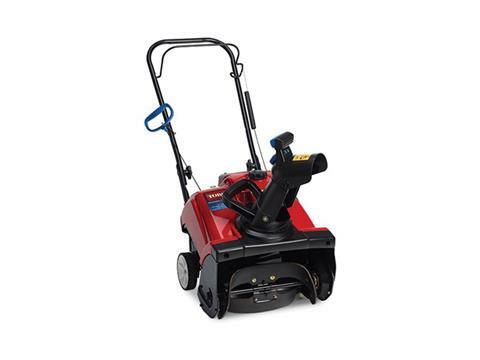 Electric mowers are available in both cordless and corded models. 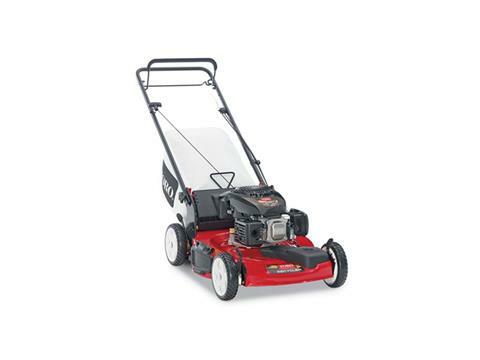 You’ll enjoy a quieter and cleaner operation than you would with most gas mowers. These mowers are easy to start but the cordless models must be fully charged prior to use. This also means that if you have a large mowing job on your hands, the charge might not last through the entire job. While corded miles don’t need to be charged, they can limit mobility and be harder to maneuver with a cord to be conscious of. Up North Power & Sports knows the value in finding the right lawn mower to tackle your grass with ease and efficiency. The great news is that you’ve met your match with the new 2018 22" SMARTSTOW® Variable Speed High Wheel Mower. This model is the ultimate space saver, comes with an impressive recycle cutting system, has a convenient variable speed front-wheel drive, and much more! There’s no limit to what you can accomplish with the 22” SMARTSTOW Variable Speed High Wheel Mower. You can easily store this model upright by folding, locking, and storing. Simple as that! Not to mention that you’ll be reducing the storage footprint by up to 70%. A variable front-wheel drive allows for better maneuverability and makes it easier to mow in tight spaces. The Briggs & Stratton 163cc engine comes with a ready start, so no priming or choking required. What’s more, you won’t have to bother with oil changes for the entire life of the engine. You’ll enjoy the variety of 9 different cutting positions and 1 to 4-inch cutting height range so you can manicure your lawn as you see fit. What’s not to love? We suggest checking this impressive lawn mower out for yourself. Visit our dealership in Park Rapids, MN near Fargo and Bemidji today!